Home / Winger News / Posts / Uncategorized / Hyundai donation keeps St John Ambulance motoring! Hyundai donation keeps St John Ambulance motoring! A relationship with Hyundai New Zealand stretching back 11 years continues to help the St John Ambulance support New Zealanders in their time of need. Hyundai New Zealand handed over its most recent vehicle, a new Hyundai Tucson that has been donated to St John to be used in a regional operational response role. Hyundai New Zealand has supplied St John with more than 300 vehicles for operational and community programme duties since 2005. In addition to its commercial relationship Hyundai New Zealand has often loaned and donated vehicles to boost the organisation’s capability. Vehicles supplied include the Hyundai Santa Fe, Tucson and ix35 SUVs; i30 and i40 cars and iLoad vans. They are used in first-response operational duties, regional management use, education, First Aid training and service delivery. Since 2005 St John’s Hyundai vehicles have travelled more than 34 million kilometres, an average of 115,000 km per vehicle. Hyundai New Zealand General Manager Andy Sinclair says the relationship is a way for Hyundai New Zealand to ‘give back’ to the communities of New Zealand. “Our ongoing support of the Order of St John is important to both organisations and we are very proud to help St John’s dedicated staff and volunteers to assist and support New Zealanders, said Mr Sinclair. 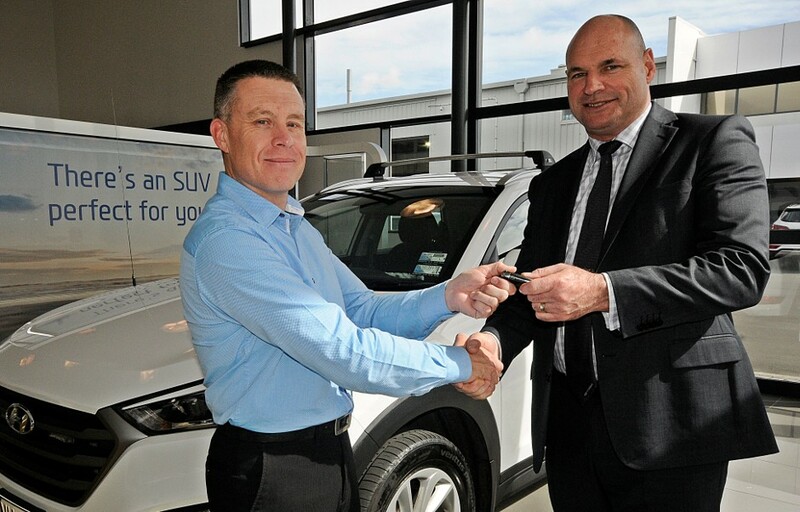 Mr Sinclair presented the keys of the Tucson to St John Head of Clinical Operations Support Murray Holt. “Hyundai have been great to deal with, providing reliable vehicles that meet our operational needs. We have appreciated Hyundai’s support which has contributed to a successful partnership and has helped us deliver care to New Zealand communities,” said Mr Holt.